Lovely, sweet, gentle doe. She is still very productive, and milks well. 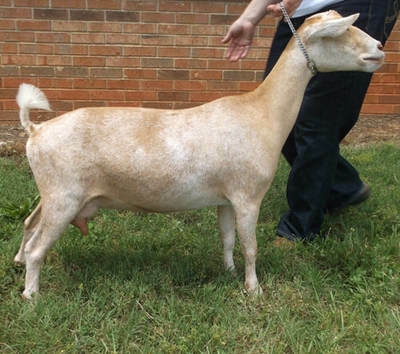 Her udder is well above her hocks, and she is still throwing triplets! Excellent width, capacity, and well balance with a nice nice udder, easy to milk. She has a very nice front end, and excellent structure overall. I absolutely love this doe, and am very grateful to Lisa Turner for returning her!!! She is an absolute diva, but wonderful nonetheless. 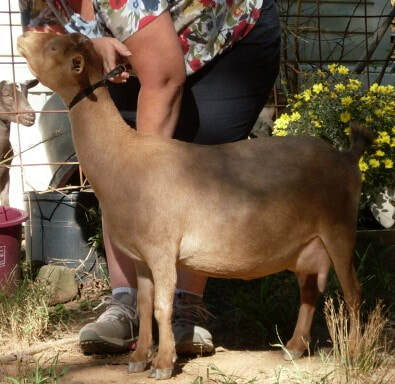 Bathsheda is a sweet, cooperative, and an excellent producer. 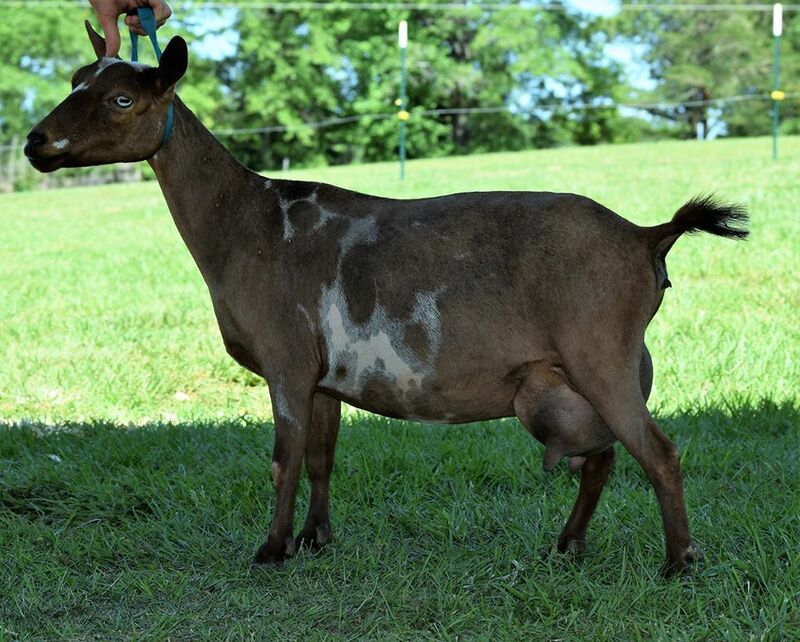 Opal came to us a few years back to join her mother, Olympia, daughter, Ode to Joy, half sister Bathsheda, and many nieces and cousins. She has the same tightly attached udder, with a nice medial. 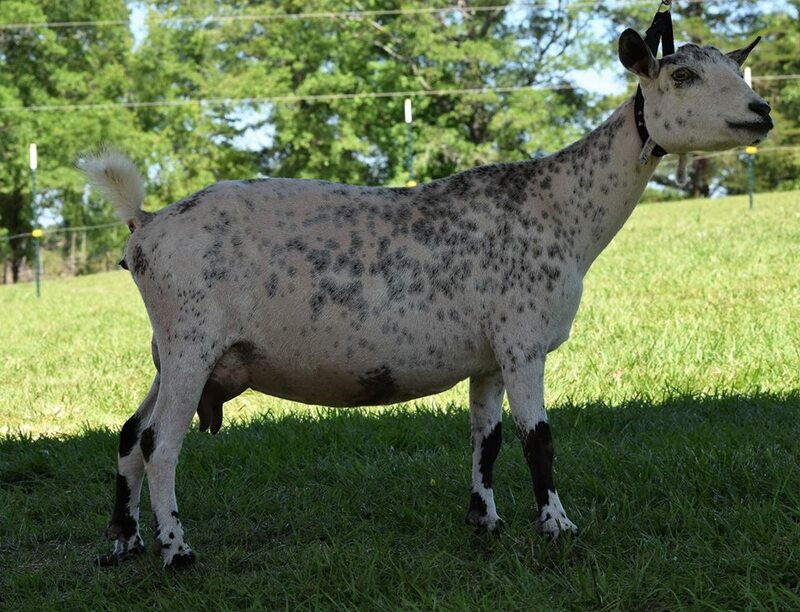 Temperament is easy going and relaxed like most of the line, and she is easy to milk. She is a wonderful blend of some of my favorite lines, and has very correct structure along with being a joy to milk. I love her sharp flat bones, uphill stance, and open orifice. I love her structure! Graceful, smoothly blended, and built to last. She is easy to milk with open orifice, and stands quietly on the stand. Nice and wide with that wonderful temperament that runs in this line! This little gem is as sweet as pie, and has a strong will to milk. I love most of the does in this line because they are calm tempered, hardy, even though a bit bossy. Freuda is easy to milk, has nice open orifice and the softest texture.